All is not well in Lamentable Moll. A sinister, diabolical killer stalks the port city's narrow, barrow-humped streets, and panic grips the citizens like a fever. Emancipor Reese is no exception, and indeed, with his legendary ill luck, it's worse for him than for most. Not only was his previous employer the unknown killer's latest victim, but Emancipor is out of work. And, with his dearest wife terminally comfortable with the manner of life to which she asserts she has become accustomed, all other terrors grow limp and pale for poor Emancipor. Bauchelain and Broach made their Malazan debut in the third book of the main series, Memories of Ice, in which they played a minor part in a battle outside the city of Capustan. Here we were also introduced to their long-suffering manservant Emancipor Reese, and made to wonder just how ‘’Mancy the Luckless’ came to work for his unnatural employers. 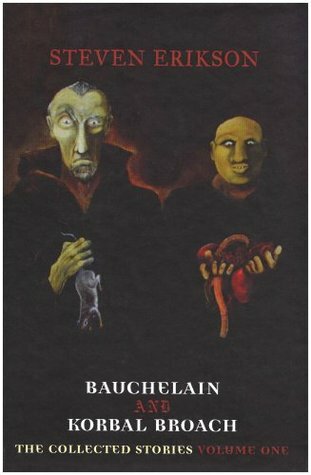 Blood Follows answers this question for us in the form of a darkly humorous tale detailing the origins of Reese’s unlucky alliance with Bauchelain and Broach. Containing all the trademark Erikson features without the weight of a 1,000+ page novel, Blood Follows is a Malazan tale in miniature, a single piece of the colossal jigsaw puzzle that usually comprises the full-length novels. As such it’s a tightly focused, fast-paced and brilliantly self-contained story, set on an obscure island and focusing on a handful of characters and their macabre involvement in a series of grisly murders. For this the setting of Lamentable Moll is perfect: a city whose houses and streets are built around and on top of hundreds of ancient (and occasionally haunted) barrows. The novella introduces a cast of characters which is relatively small, yet nicely diverse and fleshed-out considering the very short page count. The main players – both of whom are amusing and likeable – are Emancipor Reese, the aforementioned down-on-his-luck worker with an exceedingly demanding wife; and Sergeant Guld, top dog amongst the city watch but currently struggling with the pressure of hunting down a serial-killing sorcerer. 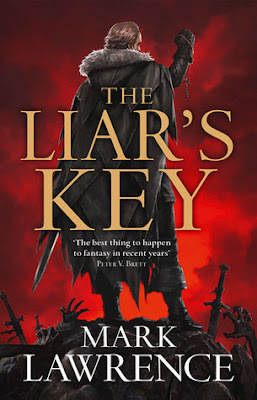 As usual Erikson also manages to nudge on from the sidelines several awesomely bizarre supporting characters, some of whom are much more than they first appear; it’s these little touches of weirdness and magic and humour that, for me, really make him stand out as an author. These, and of course his ability to weave an intriguing tale leading to an exciting convergence no matter how limited the length of the story may be. Blood Follows is a ghoulish, hilarious and thoroughly enjoyable Malazan outing that’s now beckoning me (with a fat, white, delicate hand) to read more of these Bauchelain and Korbal Broach novellas. So far I’ve been kind of ambivalent towards the Shattered Sea trilogy. As a huge fan of Abercrombie’s six First Law novels I entered his latest series with humongous expectations . . . and ended up feeling a little underwhelmed by it. 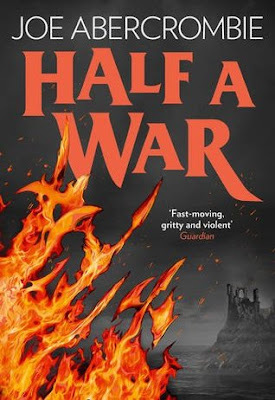 The characters in Half a King and the story in Half the World felt, to me, distinctly lukewarm: there never seemed to be any doubt as to whether the main characters would achieve their goal, and it never once felt as though they were in any real danger. For decades, Britain's warlocks have been all that stands between the British Empire and the Soviet Union - a vast domain stretching from the Pacific Ocean to the shores of the English Channel. Now each wizard's death is another blow to Britain's national security. Meanwhile, a brother and sister - the subjects of a twisted Nazi experiment to imbue ordinary people with superhuman abilities - escape from a top-secret facility deep behind the Iron Curtain. They head for England, because that's where former spy Raybould Marsh lives. And Gretel, the mad seer, has plans for him. I was persuaded to read the first Milkweed novel, Bitter Seeds, last year, and although I found it a decent read it left me sceptical as to where exactly this trilogy was headed. After finishing The Coldest War I can hardly wait to find out. Set in 1963, The Coldest War takes place in the same alternate history as Bitter Seeds. The main events occur almost twenty years after the first book; the Soviets are now on the verge of winning the Cold War, having made use of the devastating Nazi scientific secrets stolen at the end of the first book. The characters themselves are almost unrecognisable. Each of them is in a dark place: Marsh’s marriage has degenerated into a resentful partnership that revolves around caring for a disabled son; Will is burdened by guilt and memories; and Klaus is imprisoned in a Soviet research facility along with his psychotic sister Gretel. All are shadows of their former selves, which makes for quite a gloomy kick-off to the story. However, the more time we spend with the characters the more we see them regain their old fire; and the further they’re dragged back into Milkweed, the more exciting their circumstances become. It’s not until later that it’s revealed just how many of these circumstances have arisen as a direct result of a certain character’s manipulations in the first book. I really wish I’d gone back to re-read Bitter Seeds before beginning The Coldest War, since reading them back-to-back is probably the best way to appreciate the author’s skilful use of timelines, not to mention the subtle set-ups and spectacular payoffs. The jaw-dropping ending actually had me racing upstairs to find Bitter Seeds and then flipping through the pages looking for one scene in particular, after which my jaw dropped and for several seconds I was literally speechless. The first book planted so many seeds (book two really gave ‘bitter seeds’ a whole new meaning) and I can’t wait to see how everything plays out in the final instalment, Necessary Evil. My only criticism is feeling that the Eidolon storyline didn’t mesh particularly well with the rest of the story, although its significance in the greater events of the trilogy is made abundantly (and terrifyingly) clear by the end of the novel. Despite this I absolutely LOVED this book. 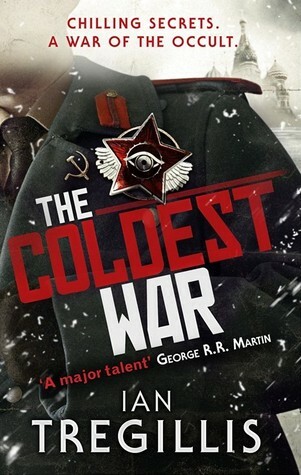 The Coldest War is awesome and exciting, and I already look forward to re-reading the whole trilogy in the future. It's assumed that Hogwarts is the safest place for Harry to be. But is it a coincidence that he can feel eyes watching him in the dark, or should he be taking Professor Trelawney's ghoulish predictions seriously? 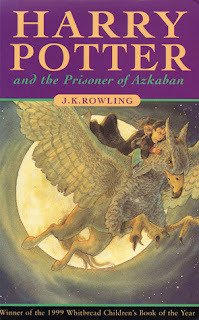 The Great Harry Potter Re-read continues with book three of the series, Prisoner of Azkaban. 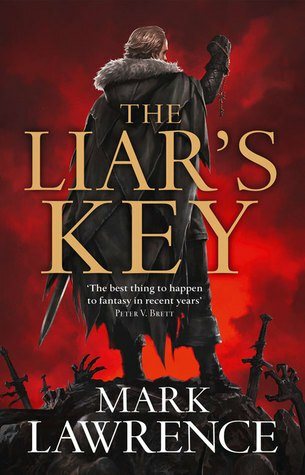 Although it’s been years since I last read it, I always remember this book as my least favourite of the series, so I was really surprised when I found myself enjoying it rather a lot. It has all the things I liked about the first two books, such as funky magical creatures, stunning plot twists, and of course Rowling’s trademark humour. Furthermore, some of my favourite characters – namely Sirius and Lupin – make their first appearance here, and I thoroughly enjoyed becoming re-acquainted with the little darlings. Despite this, I did find myself getting a little impatient with the story, and was often reminded why I previously regarded this as my least favourite of the series. (Yes, Harry, we know you’re not allowed to go to Hogsmeade, now please stop moaning about it. It’s a rat, Ron, for God’s sake get over it. And oh dear God, not another Quidditch match?!?!) I also feel like I was less engaged with the story in general than I was with the first two books: Philosopher’s Stone kept us guessing throughout and was full of questions (who robbed the Gringotts vault? What is Fluffy guarding? Who is Nicholas Flamel? ), and Chamber of Secrets was packed with even bigger questions (What is the Chamber of Secrets? Who is the heir of Slytherin? Who or what is petrifying muggle-borns?). Prisoner of Azkaban is the first book in the series to lack a great underlying mystery, and unfortunately this meant that I felt less compelled to keep turning the pages. That said, there are a lot of things this book does very well, the main one being its depiction of the characters’ emotional growth. We see the first real disagreements between Harry, Ron and Hermione as they each become more headstrong, and their arguments are portrayed as petty yet as realistically serious in that dramatic way unique to young teenagers just starting to hit puberty. Much of the story is about Harry being in emotional turmoil rather than physical danger, and while this doesn’t always make for the most thrilling of reads, it’s nonetheless well done. I think this is the point where the series first starts to mature: there’s a lot more emphasis on personal revelations rather than magic, and it’s the first time we see Harry have to really deal with emotional issues surrounding his own past and the deaths of his parents. It has to be said that the last few chapters of the book are really fantastic: fast-paced and full of really great revelations and clever plot twists leading to yet another tidily satisfactory conclusion. Best of all, finishing this one means that now the fun really begins: Goblet of Fire next! The Great Reawakening did not come quietly. Suddenly people from all corners of the globe began to develop terrifying powers - summoning fire, manipulating earth, opening portals and decimating flesh. Overnight the rules had changed... but not for everyone. Alan Bookbinder might be a Colonel in the US Army, but in his heart he knows he's just a desk jockey, a clerk with a silver eagle on his jacket. But one morning he is woken by a terrible nightmare and overcome by an ominous drowning sensation. Something is very, very wrong. Forced into working for the Supernatural Operations Corps in a new and dangerous world, Bookbinder's only hope of finding a way back to his family will mean teaming up with former SOC operator and public enemy number one: Oscar Britton. They will have to put everything on the line if they are to save thousands of soldiers trapped inside a frontier fortress on the brink of destruction, and show the people back home the stark realities of a war that threatens to wipe out everything they're trying to protect. This is one hell of a fast and fun read. I devoured Fortress Frontier in less than 24 hours, racing through a dynamic story full of likeable characters living in a not-too-distantly futuristic world. The second instalment in Myke Cole’s awesome Shadow Ops series is insanely fast-paced: the story races along a mile-a-minute, with every few pages introducing something new and exciting, be it an explosion, a magical beastie, an enemy attack or a supernatural discovery. Fortress Frontier is essentially much like its predecessor, Control Point, only better; it’s as though the first book has been patched and updated, not to the point where it’s perfect, but to a point where it feels much more smooth and satisfying than the original. In my review of Control Point I described the Shadow Ops series as a combination of X-Men, Black Hawk Down, Avatar and Heroes. I stand by these comparisons after completing the second book, focusing as it does on a minority of people with special abilities in a military setting in hostile territory inhabited by alien races (which is AWESOME, by the way). To drag in more names, Fortress Frontier is dedicated to J.R.R. Tolkien and the father of D&D Gary Gygax, which is fitting since a big chunk of the book is taken up with a small group of characters embarking on an intrepid journey across thousands of miles in order to try and save the world. But despite all the comparisons with other writers and franchises, I’ve never read anything quite like it, and I would say this is another huge point in the author’s favour. The one issue I had with the first book was a lack of sympathy with the mercurially-mooded main character Oscar Britton. Thankfully that’s largely resolved here by the addition of a new POV character who dominates the majority of the novel. Alan Bookbinder is a much more likeable protagonist than Oscar, focused as he is on his struggle to overcome his own lack of experience and self-confidence in order to survive in a strange and lonely environment. Alan’s character develops steadily and believably throughout the book, unlike Oscar in Control Point; and while his overnight mastery of his newfound abilities is almost as implausible as Oscar’s in the first book, I found Alan to be so likeable that I didn’t mind turning a blind eye. It’s been about a year since I read the first book, and so I was a bit confused regarding the time frame of events relating to the original characters. When Oscar and the others finally did make their appearance I was a little disoriented, and the subsequent pages of characters squabbling repetitively didn’t exactly do a stellar job of getting me back on top of things. But the events of the first book came back to me in dribs and drabs, and if it hadn’t been so long since I first started the series I imagine I’d have had no trouble following at all. Either way I definitely don’t intend to wait nearly as long before moving on with the series this time. After Fortress Frontier’s explosive (if slightly rushed and chaotic) finale there are still a lot of plot threads waiting to be resolved, and I can’t wait to see how they play out in the next book, Breach Zone. 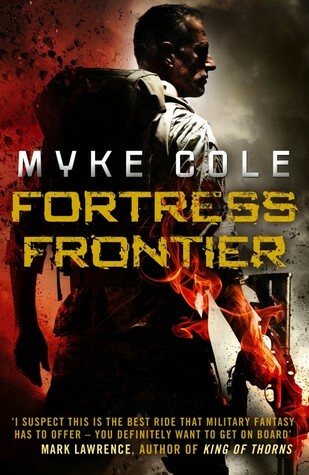 To those still on the fence: if you liked Control Point, you’ll love Fortress Frontier. If you didn’t like Control Point, give Fortress Frontier a try anyway – it’s much better!